Local alarms can be accessed by clicking the ‘alarms’ button on the toolbar at the top right of NEM-Watch. A window opens that allows you to manage your local alarms. From here, local alarms can be created, edited, copied, deleted or turned on and off. 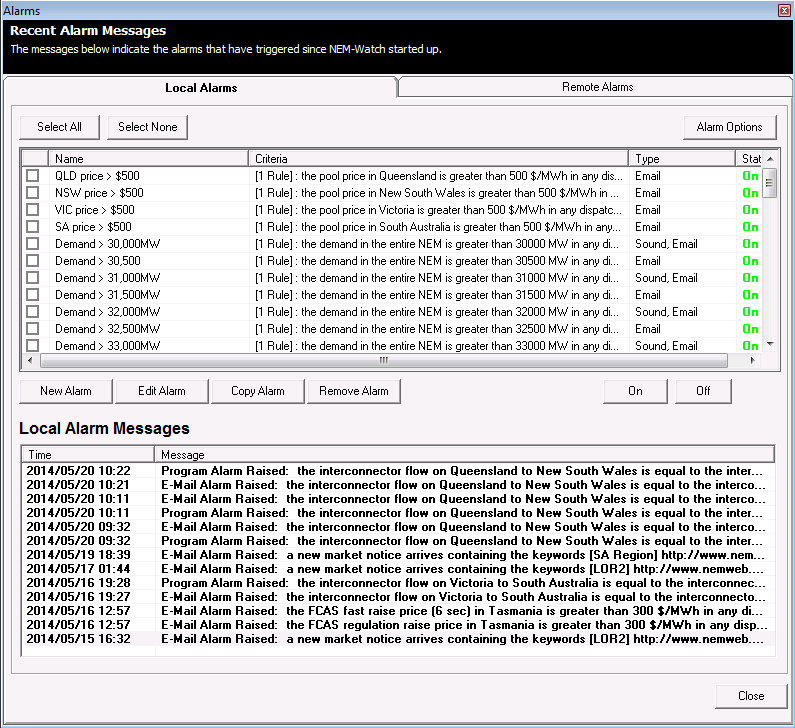 The ‘Local alarms messages’ window shows details about any alarms that have been triggered while NEM-Watch has been running. NEM-Watch must be running for local alarms to trigger.